What Personal Information Does SMS Replier Collect? * We receive and store personal information you choose to enter on our Site, or provide us in any other way, such as by telephone or by electronic mail. For example, when you register for our services, we collect personal information about you. This information may include your contactsâ or your; name, address, e-mail address, telephone number, ip address, gps location, message details and credit card number. We may combine the information that you submit on our Site or thru our proprietary services with information about you that we receive from other online and offline sources in order to provide you with a better experience and to improve the overall quality of SMS Replier’s services. In addition, if you voluntarily complete a detailed publisher or advertiser questionnaire, we collect personal information about you as part of that questionnaire. This information may include your name, address, e-mail address, and telephone number, as well as general information about your business, if applicable. In general, the more information you feel comfortable giving us, the more we can personalize the experience of our services to meet your needs. We hold your information in the highest moral regard as we can. Many of SMS Replier management are concerned parents of children, which is what drives us to create the products we do. The fact that we have your information, we consider a privilege. We pledge to take steps to ensure that your information is kept secure. * SMS Replier utilizes cookies to automatically collect information about visitors to our Site. Cookies are alphanumeric identifiers that reside within your browser to enable our computer systems to recognize your browser and to tell our systems how and when pages within our Site are visited and by how many people. The cookies from our Site do not collect personal information, however, we may combine information collected through certain cookies we issue on our Site with other personal information that you provide to us on the Site. * We may collect information using Web beacons. Web beacons are electronic images used on our Sites or in our emails. We use web beacons to deliver cookies, count visits, understand usage and activity on the Site and to tell if an email has been opened and acted upon. * We automatically receive and store certain other types of information whenever you interact with us. For example, our servers track the type of Web browser you are using, where you travel within the Site, and the page to which you link from the Site. This type of collective data enables us to figure out how often customers use parts of the Site, so we can make the Site appealing to as many customers as possible. * Many companies offer programs that help you to visit Websites anonymously. While SMS Replier will not be able to provide you with a personalized experience if we cannot recognize you, we want you to be aware that these programs are available although they may impair the quality of your experience on our Site. How Does SMS Replier Use the Personal Information That it Collects? * Communicate with you about promotions, upcoming events, and other news about products and services offered by SMS Replier and our partners. SMS Replier may store and process personal information in the United States and in other countries. Does SMS Replier Share the Personal Information That it Collects? * Agents and Service Providers: SMS Replier may engage other companies and individuals to perform services on our behalf. Examples of these services include processing credit card payments, sending postal mail and e-mail to you, and analyzing data. While these agents and service providers may have access to your personal information in connection with the performance of services for SMS Replier , they may not use such information for any purpose other than providing such services to SMS Replier . * Protection of SMS Replier and Others: We release account and other personal information when we believe that release is appropriate to comply with the law; enforce or apply our user Agreement; or protect the rights, property, or safety of SMS Replier , our users, or others. This includes exchanging information with other companies and organizations for fraud protection and credit risk reduction. * Corporate Transfers and Financings: SMS Replier may share your personal information in connection with any merger, sale of SMS Replier assets, or a financing or acquisition of all or a portion of our business to another company. * Aggregate Information: SMS Replier may share aggregate information about you and/or your customers with advertisers, publishers, business partners, sponsors, and other third parties. How Secure Is the Personal Information That You Provide to SMS Replier ? SMS Replier takes reasonable measures to protect your personal information in an effort to prevent loss, misuse and unauthorized access, disclosure, alteration and destruction. SMS Replier cannot, however, ensure or warrant the security of any information that SMS Replier receives. You can access or correct certain information about you collected on this Site in the Account section of the Site. You may opt out of receiving promotional emails from SMS Replier by following the instructions in those emails. If you opt out, we may still send you non-promotional emails, such as emails about your accounts or our ongoing business relations. You may also send requests about your contact preferences and other changes to your information by emailing privacy@SMSReplier.com. 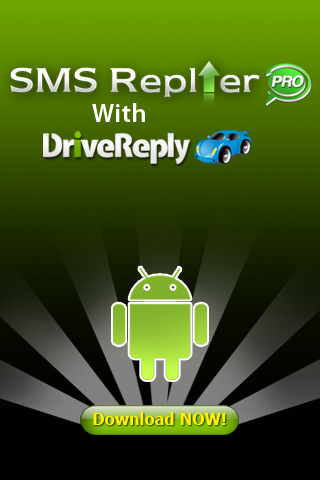 SMS Replier provides mobile advertising services (“Mobile Services”) to advertisers and publishers. If you are a publisher using SMS Replier’s Mobile Services, SMS Replier may access, index, and cache requests made from your mobile sites, applications and device platforms to our system, including by automated means. In the course of providing these Mobile Services, SMS Replier collects aggregate data from publishers’ sites and uses such data for a number of purposes, including, but not limited to, providing publishers, advertisers and others with aggregate information about traffic and site usage in our advertising network. SMS Replier also collects certain information about visitors to publishers’ sites that connect to the SMS Replier Mobile Services. SMS Replier will automatically collect and receive information about those visitors such as, but not limited to, browser identifiers, session information, browser cookies, device type, carrier provider, IP addresses, unique device ID, carrier user ID, geo-location information, sites visited and clicks on advertisements we display. SMS Replier may track that information over time and over multiple publishers’ sites and use non-personally identifiable information collected from such visitors to provide reports to advertisers and others and to help us display advertisements that may be of interest to your visitors. In some cases, the mobile phone service providers for mobile devices may send visitors’ phone numbers to SMS Replier. SMS Replier uses such information to perform analysis aimed at improving our services and technologies and may also use this data to display advertising customized to visitors’ interests and preferences. SMS Replier does not use such information for telemarketing, to contact any individuals or to share with any third parties for their own use. In addition, SMS Replier may collect personal information directly from customers on behalf of advertisers and periodically transfer such information to such advertisers.